Newark, NJ – October 2, 2018 – Newark Mayor Ras Baraka today announced that Per Scholas, a national tech training non-profit, is opening doors in Newark with plans to train and place more than 200 graduates in tech roles over the next three years, two-thirds of whom will be Newark residents. Per Scholas is working with both Newark employers and a regional employer network to cultivate direct job opportunities for graduates seeking tech focused careers. Per Scholas will open classrooms at 540 Broad Street, the historic New Jersey Bell Building in downtown Newark. The space will include three state-of-the-art technical classrooms, with twenty workstations each, along with a flexible workspace and a kitchen. Per Scholas plans to enroll approximately 100 students per year and the training will be free. Courses will run three to four months and will include a comprehensive admissions process, technical instruction, career coaching and two years of alumni follow-up and placement support. Per Scholas Newark will align closely with Mayor Baraka’s Newark 2020, initiative, which aims to connect 2,020 unemployed Newark residents to work by 2020. Additional partners and supporters of the Per Scholas space include the Newark Alliance, La Casa de Don Pedro, New Community Corporation, Ironbound Community Corporation, the Newark Public Library and Newark Arts. Newark residents interested in applying for the free technical training offered by Per Scholas can visit www.perscholas.org/newark to submit an application. Applications are now open for the first IT Support class which will begin in January, and admissions will be conducted on a rolling basis for future classes through the year. 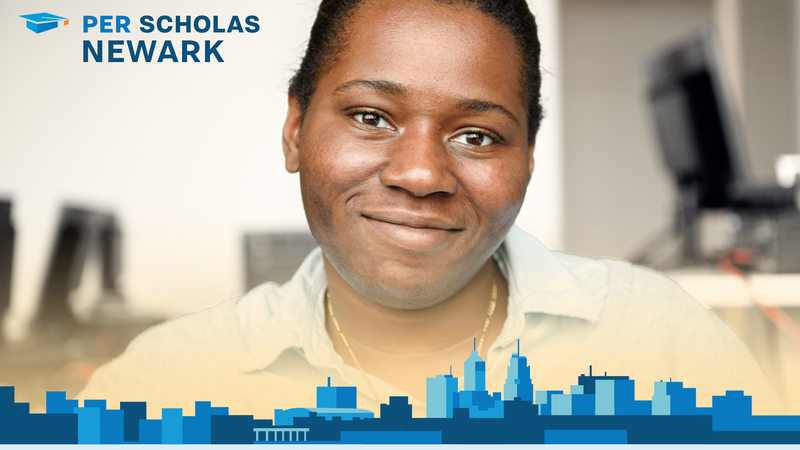 Per Scholas Newark is made possible with support from Per Scholas’ Champion Founding Partner Barclays, Signature Founding Partner Prudential Financial and Major Founding Partner PSEG Foundation. This expansion closely follows the announcement of Champion Founding Partner Barclays to significantly expand their tech operations to a new campus in Whippany, New Jersey. Signature Founding Partner Prudential is an anchor institution in the Newark community, headquartered there for more than 140 years, and is providing both resources and expertise to link the new training opportunities with community and employer networks in the city, including themselves. Major Founding Partner The PSEG Foundation supports and invests in sustainable neighborhoods, STEM education, and safety and has a 114-year history of calling Newark home and supporting the communities it serves. “Per Scholas is bringing to Newark an award-winning and proven model that addresses head on systemic inequities and the workforce barriers too often faced by both residents and employers. The PSEG Foundation is proud to support Per Scholas’ expansion into Newark and looks forward to collaborating with this community of leaders to meet Newark 2020 objectives and to help ensure that new pathways of opportunity, skills development, training and jobs are created,” said Barb Short, President and Chief Diversity Officer, PSEG Foundation. Per Scholas chose Newark – and 540 Broad specifically – after an extensive search for its first location in the area outside of New York City. The organization was drawn to Newark because of the strength of its community organizations, commitment to education, and growing tech community. And it zeroed in on 540 Broad Street due to its central Downtown location, proximity to public transit and employer partners, and historical significance. The building is currently undergoing a transformation led by L+M Development Partners, Prudential and the Goldman Sachs Urban Investment Group, the same partnership that recently renovated the Hahne & Co. building just steps away.